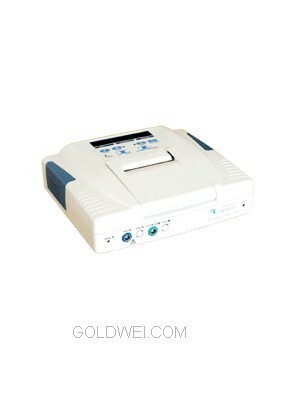 Model CMS 800 is a lightweight, space-saving fetal monitor, ensure external and internal monitoring parameters .It can be used up to and during the second stage labor. It also can be connected to the obstetrical central station to construct central monitoring system. Feature: CMS800 is a lightweight, space-saving fetal monitor, ensure external and internal monitoring parameters .It can be used up to and during the second stage labor. It also can be connected to the obstetrical central station to construct central monitoring system. -> Basic function: FHR, TOCO, fetal movement, twins monitoring and automatic channel recognition.